A recent study (I Hirano et al. 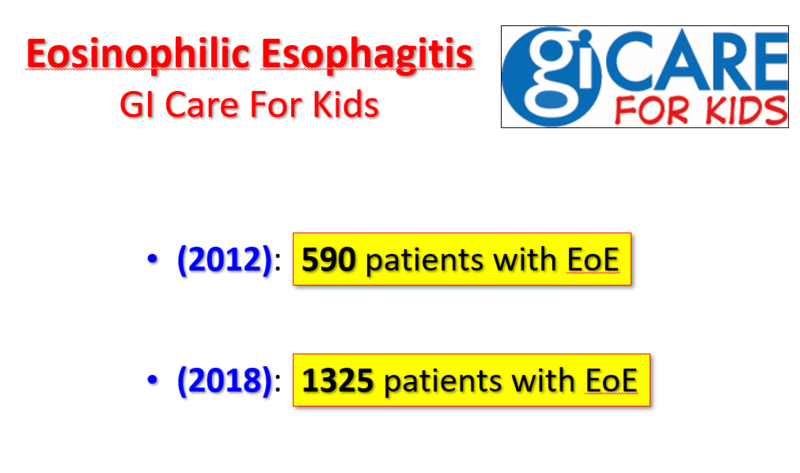 Gastroenterol 2019; 156: 592-603) showed that RPC4046, a monoclonal antibody against IL13 is a promising agent for eosinophilic esophagitis. This multicenter double-blind study with 99 adults compared RPC4046 at doses of either 180 mg or 360 mg to placebo for 16 weeks. Endoscopy was performed at baseline and at 16 weeks. The study population included a high number who were considered steroid-refractory and excluded patients who were responsive to proton pump inhibitors. The study drug was administered initially as an IV load followed by weekly subcutaneous injections. 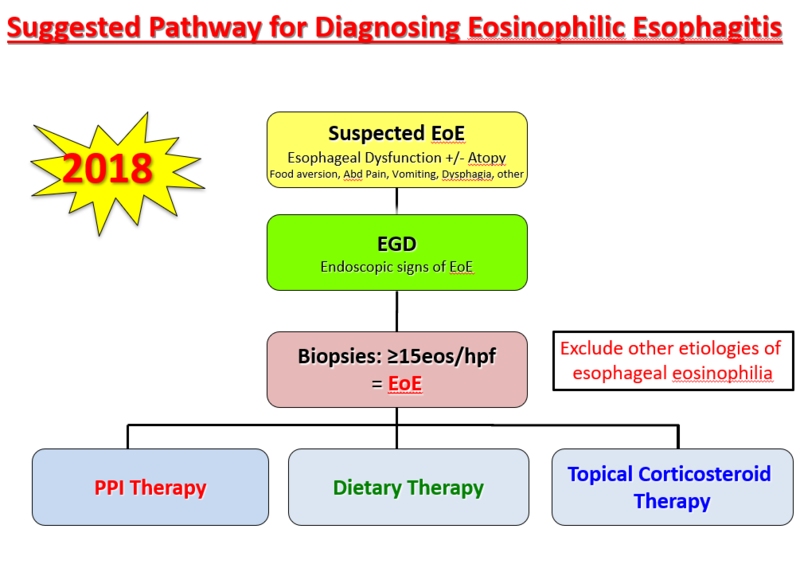 Mean changes in esophageal eosinophil count dropped by 94.8 in patients receiving 180 mg dosing and 99.9 in patients receiving 360 mg dosing. 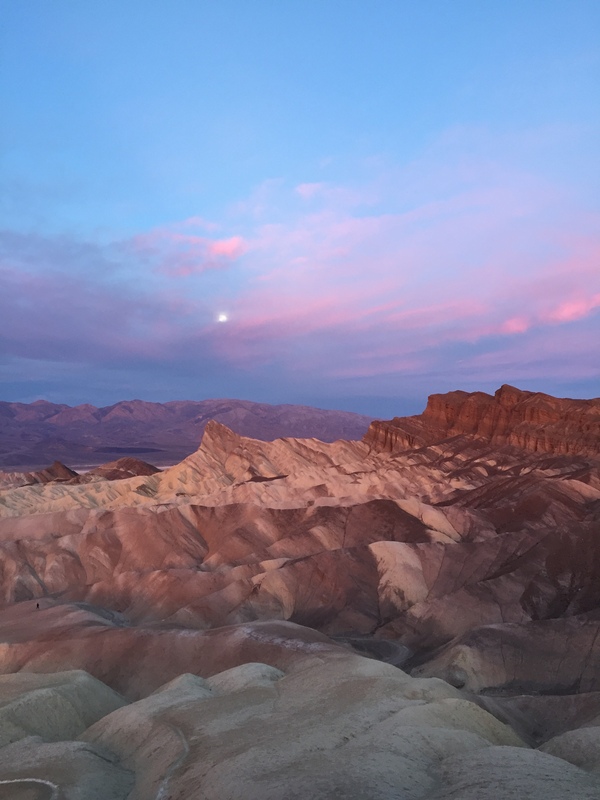 In contrast, placebo-treated patients had a meager reduction of 4.4. There were no significant changes relative to placebo in dysphagia symptoms using the DSD (dysphagia symptom diary) composite score. Though there was improvement in global PRO measures compared to placebo. There is an associated editorial (pg 545) explains the need for better therapies. While both dietary therapies and topical steroids are likely effective in >70%, dietary therapy is plagued by problems with long-term adherence and there may become less effective with longer-term administration. 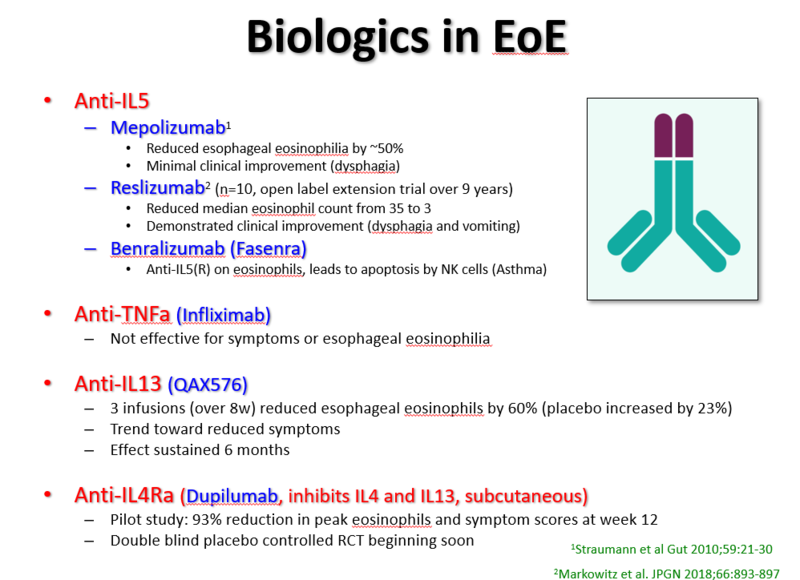 My take: Particularly for patients with refractory EoE, newer therapies are needed. 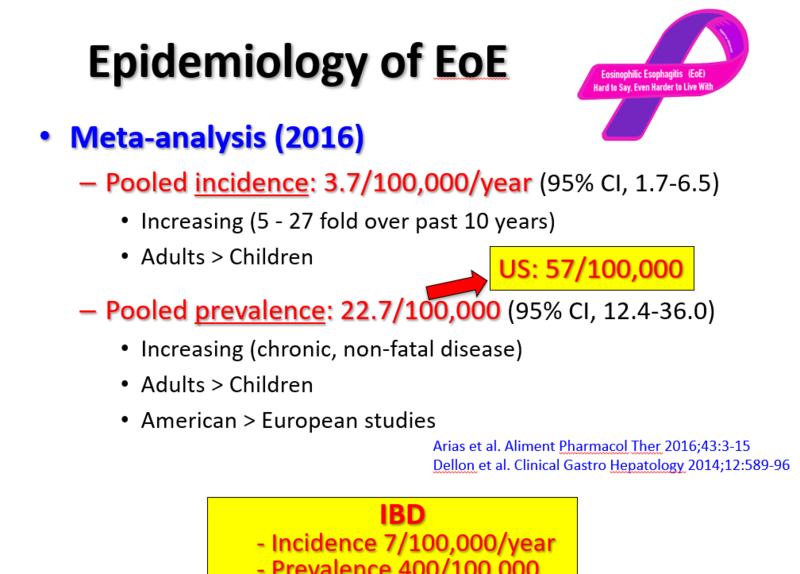 Given the chronic nature of EoE, cost of new treatments could be another hurdle. 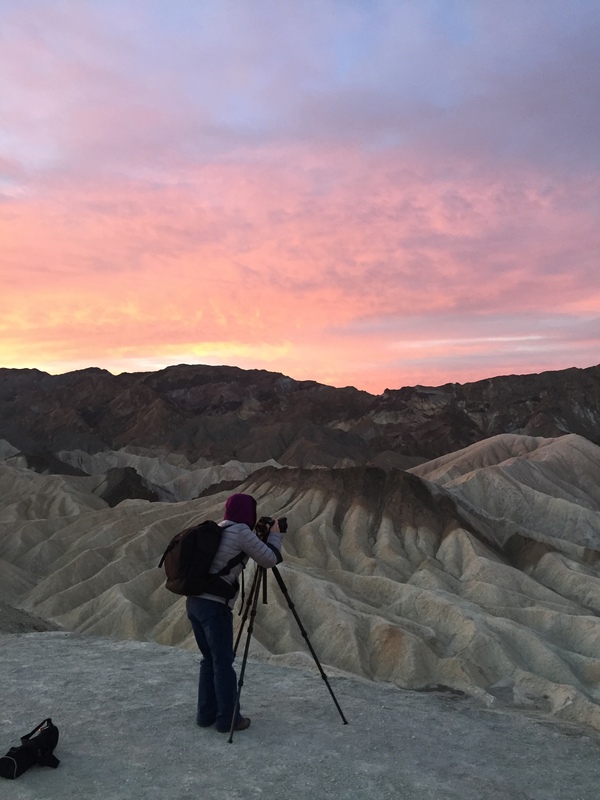 Briefly noted: ET Jensen et al. JPGN 2019; 68: 50-5. 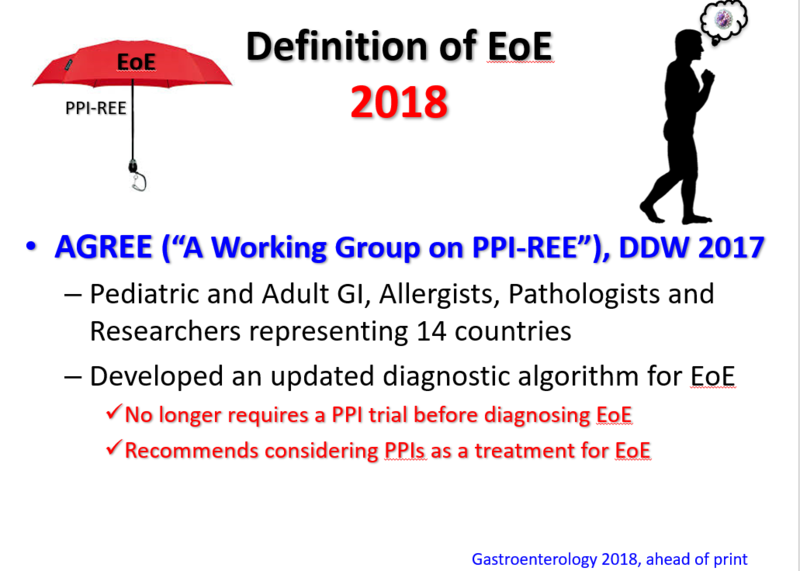 This retrospective study with 409 patients with eosinophilic esophagitis (EoE) examined longitudinal growth over 12 months. “In general, treatment approach was not associated with any significant increase or decrease in expected growth.” In a subset of patients with combined elemental diet and topical steroids (n=13), there was a subtle decrease in linear growth with a change in height z-score of -0.04, CI -0.08 to -0.01. 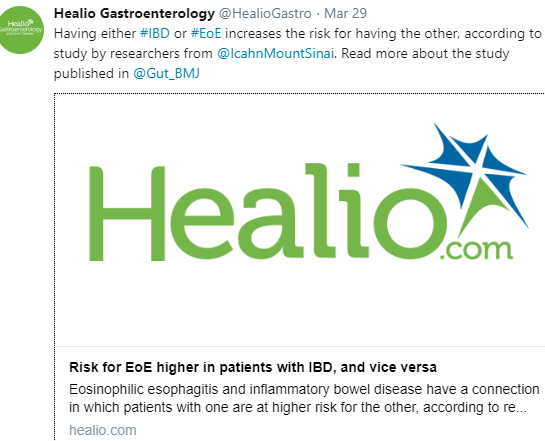 Interestingly, in these patients with EoE, the baseline height z-scores were lower than expected indicating that a subset may have impaired growth prior to treatment. 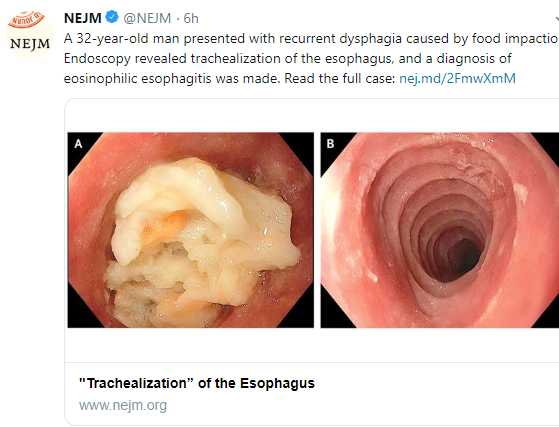 While in the pediatric cohort the trend was the same, the length of symptoms preceding diagnosis was shorter: 2.8 years, 3.5 years and 3.7 years respectively for the above-mentioned time periods. 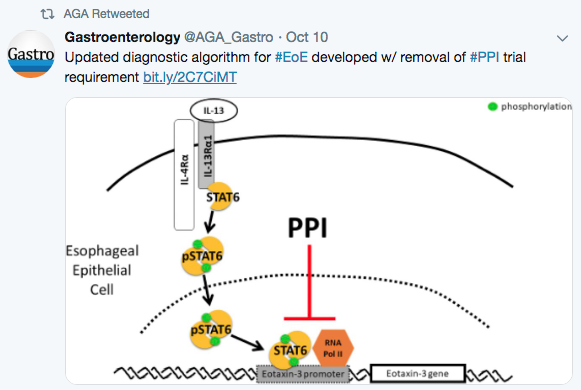 Full text: ES Dellon, CA Liacouras, J Molina-Infante, GT Furuta et al. Gastroenterol 2018; 155: 1022-33. 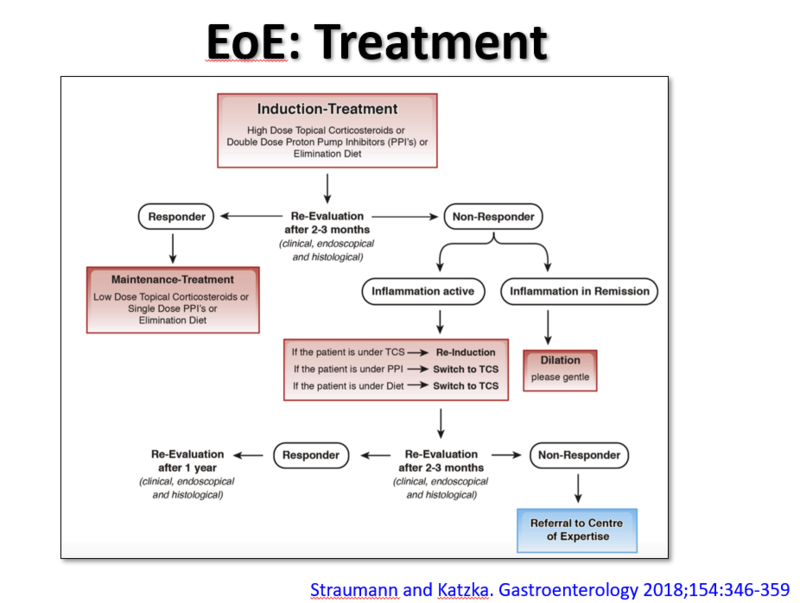 This article provides a thorough review of EoE -including clinical features, differential diagnosis, diagnostic criteria, and treatments. During this part of the presentation, there was a discussion regarding the role of allergists. 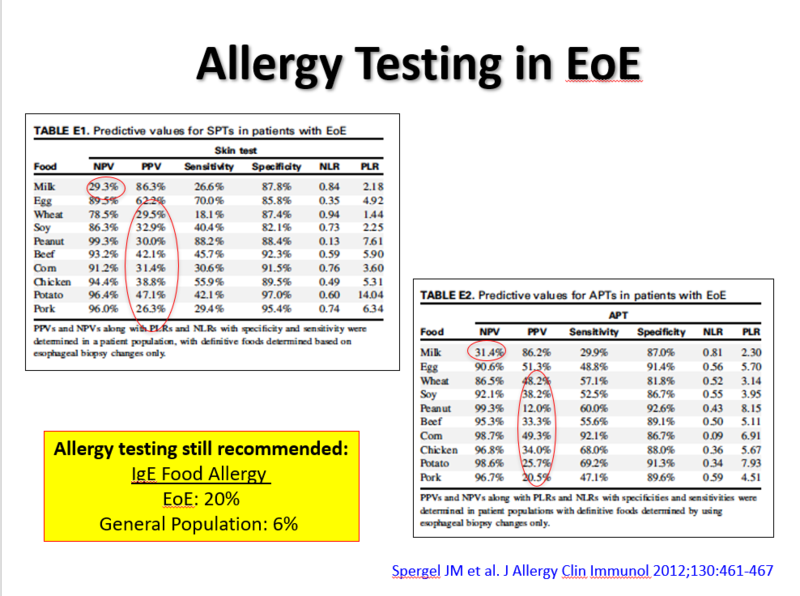 Due to the poor predictive value (negative and positive) of allergy testing (skin tests and blood tests), the consensus is that routine allergy evaluation is NOT needed for children with EoE. 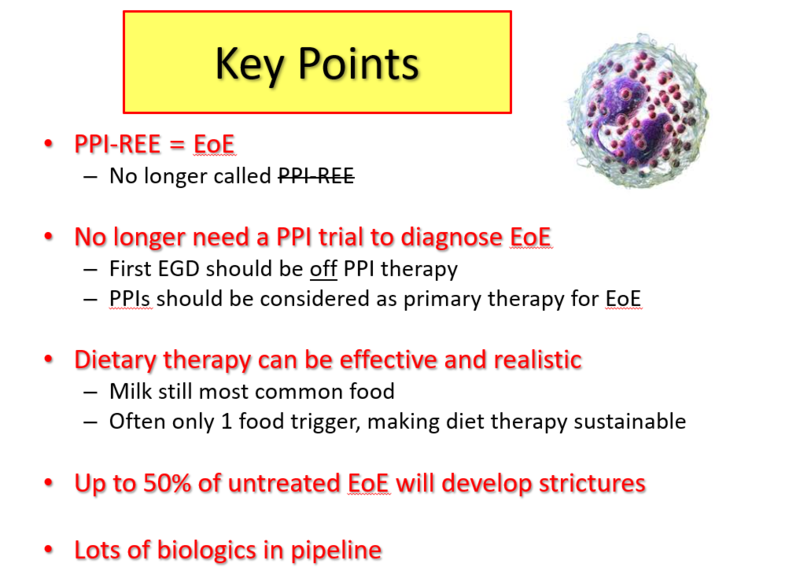 However, IgE-mediated food allergies along with other atopic diseases are common in children with EoE and selected patients could benefit from allergy referral.